In the previous part of this article, I have given you a brief history and overview of the various source documents for the Old and New Testaments that are used in most modern Bible translations. In the second part of this two-part article, I will now attempt to give you an overview of the different kinds of Bible translations, together with brief descriptions of 10 of the most popular versions of the Bible in English today. As you all know, the original languages of the Bible are Hebrew, Aramaic and Greek, so unless you are able to understand any of these languages in the form it was used at least 2,000 years ago, you’ll definitely be reading a translated version of the Bible regardless of what language it is in. Bibles (and for that matter, any translated document) can generally be divided into three categories according to the method of translation applied: formal equivalence, dynamic equivalence and paraphrase. Formal equivalence, which is also known as literal equivalence or word-for-word translation, involves the translation of the meanings of individual words in their more or less exact syntactic sequence. In other words, it involves a more literal rendering of the original text into its target (translated) language. Formal equivalence places emphasis not only on translating each individual word according to its lexical meaning, but also on reconstructing sentences in the target language to resemble the syntax (arrangement of words in a sentence) in the source language as closely as possible. Of course, the larger the difference between the source language and the target language, the more difficult it would be for a purely literal translation to be made while still allowing the translations to sound natural to a native speaker of the target language. Dynamic equivalence, which is also known as functional equivalence, involves a sense-for-sense translation, or a translation of the meanings of phrases or whole sentences into a target language. In other words, it involves transferring only the meanings of phrases or sentences from the source language into the target language, often by reconstructing the sentences in the target language in a way that would sound more natural for a native speaker of that language. It is also sometimes defined as a method of translation whereby the effect of the translated text on native speakers of the target language would roughly be the same as the effect of the original text on native speakers of the source language. Are you well? My name is called Li Hong. How are you? My name is Li Hong. OR How are you? I’m Li Hong. Having said that, let’s shift our focus to examples from the Bible itself. Both formal equivalence and dynamic equivalence have their respective strengths and weaknesses. While formal equivalence emphasizes fidelity to the original text in its translations, it often does so at the expense of how natural, smooth or easily understood the translated sentences are to readers in the target language. Dynamic equivalence helps overcome this problem, but at the expense of potential alterations and biasness in meaning when translating from the source language, as it involves the translator first reading and interpreting the source text before conveying its meaning based on his/her interpretations by rewriting the sentences in the target language. Clearly one can see that the NASB’s rendering of the verse sounds more erudite and perhaps somewhat difficult to understand because of its choice and arrangement of words. While the terms alien, sojourn, statute and ordinance may be legitimate English words, they are admittedly not in common use in everyday language. The NLT’s rendering of the verse makes it simpler for one to comprehend the meaning and intent behind the verse. These are perhaps examples of how a dynamic equivalence Bible may be superior to a formal equivalence one for smoother reading and easier comprehension. If one were to read the NIV’s dynamic translation of the above passage, one might be left wondering as to why God got angry with Balaam when all he did was to go with the Moabite officials as per God’s own command. However, the NKJV’s formal/literal translation, which is closer in meaning to the original Hebrew text, shows that there is no such confusion in the original Hebrew text after all. The conjunction if shows that God’s command to Balaam to allow him to go with the Moabite princes was conditional upon them coming to call on Balaam first, but God’s anger was due to the fact that Balaam went with the princes on his own accord without even waiting for them to come and call on him. This conditional permission from God was lost in translation in a dynamic equivalence Bible such as the NIV. While this may not be much of a doctrinal issue, it does illustrate an example of how personal interpretation on the part of the translator may influence the outcome of a dynamic translation, even if just slightly. The original Greek text, as reflected by the NASB’s formal/literal translation, makes no specific indication of what is meant by the phrases exhibited last of all and men condemned to death, probably because their meaning was implicitly understood by the readers of Apostle Paul’s time. The translator of the NIV assumed that this was meant to illustrate the context of how prisoners during the Roman era who were condemned to public execution in the arena were placed at the end of a procession prior to their execution. The translator of the NLT, on the other hand, made the assumption that this was a specific reference to how victorious Roman armies would display their prisoners of war to the public at the end of a procession before executing them. Due to cultural and historical differences, the translators of the NIV and the NLT thought it best to include a few extra words in their respective dynamic translations in order to clarify to modern English readers what they thought was implied by the aforementioned phrases. One may ask, “Which is the best Bible to read?” The answer to that, in all honesty, isn’t clear-cut, as it really depends a lot on personal preference and familiarity. For one who prefers simplicity and ease of reading, a dynamic equivalence Bible would be the best choice, but for one who prefers reading something that is as close as possible to the original texts, a formal equivalence Bible would be the way to go. 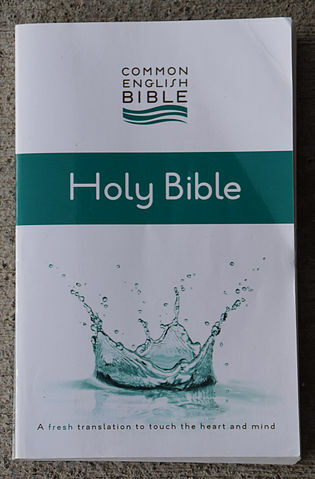 It is my opinion that regardless of whether one chooses a formal or dynamic equivalence Bible, both are equally valid for studying, teaching and preaching, as multiple revisions over the years have ensured that most of these Bibles in the market are as accurate as possible in representing the original texts. However, I would personally recommend anyone to read at least one version of each so as to compare for themselves any differences in the wordings and expressions. While some may argue that paraphrased Bibles may be a good read for young readers, non-Christians and new Christians who aren’t too familiar with biblical jargon or who may find the typical Bible too dry for their taste, I would personally not recommend such Bibles for Bible studies and preaching, especially for more seasoned Christians. They simply provide too much room for misinterpretations and distortions of the meaning and intent behind the original texts. That is, however, my personal opinion, and it is still worth making a point that most of the commonly used paraphrased Bibles out there at the very least do not deviate from mainstream Christian teaching. Having said all these, let us now look at 10 of the most popular versions of the English Bible today. Note that these Bibles are not arranged in any particular order. The KJV was a Bible commissioned by King James I of England (1567 – 1625) in 1604 in response to petitions made by the Puritans. The Puritans were a faction of Protestants in 16th and 17th century England whose objective was to purify the Church of England of what they perceived as Roman Catholic influence. When King James I convened the Hampton Court Conference in January 1604, the Puritans raised the issue of perceived mistranslations that they identified in earlier English Bible versions, subsequently requesting that a new translation be produced in the English vernacular for the benefit of the masses. 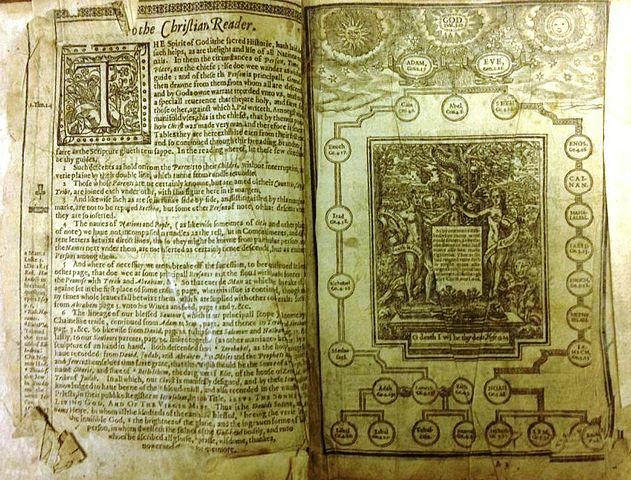 47 scholars from the Church of England were commissioned with the task of translation, and the first official copies were printed in 1611 by Robert Barker (d. 1645), the King’s Printer. It soon became known as the Authorized Version due to the fact that it was made the sole version that was authorized for use in the Church of England. Several revisions were made after that, and by the 18th century the KJV became virtually unchallenged as the only accepted standard of the English Bible. Its popularity remains till today, with even some fundamentalists perceiving it as the only ‘uncorrupted’ version of the Bible. The KJV is undoubtedly the oldest English Bible that is still of widespread relevance to this day. Due to the evolution of the English language, a significant portion of the KJV’s vocabulary and sentence structures are archaic by today’s standards and may be difficult to comprehend, particularly for someone unfamiliar with medieval-style English. It does, however, have a reputation for being one of the most linguistically beautiful works of English literature, at the same time not compromising on its fidelity to its source texts. The KJV, along with its offspring Bible, the NKJV, are virtually the only two modern English Bible versions to utilize the Textus Receptus (Majority Text) as the source text for the New Testament (see previous part of this article for a description of the Majority Text and its shortcomings). The translation of the NKJV was a brainchild of Arthur Farstad (1935 – 1998), a prominent Bible scholar from the United States. One of the main aims of the translation was to update the archaic grammar and vocabulary of the King James Version while preserving its literary beauty and classic style. Plans for the translation of the NKJV were conceived and laid out in 1975 with two meetings in Nashville and Chicago respectively, which were attended by about 130 biblical scholars, theologians and pastors who believed in the supremacy of the Textus Receptus. The complete New Testament was published in 1979, while the full version of the Bible was published in 1982. Both the NKJV and its parent Bible, the KJV, are virtually the only two modern versions of the English Bible that utilize the Textus Receptus as a source text for the New Testament. Compared to the KJV, the NKJV is undoubtedly a much more readable version of the Bible for most readers, as it utilizes modern English. The translators of the NKJV made every effort to remove archaic words (e.g. ye, thy, thine etc.) and spellings (e.g. speaketh). Despite its updated language, the NKJV is fairly successful in preserving some of the classic literary beauty of the KJV, particularly in the poetic books of the Bible such as the Psalms, Proverbs and Ecclesiastes. It is a fairly accurate rendering of the original Hebrew and Greek texts, although some may still find certain parts of the NKJV difficult to read because of its choice of words that are more literary in nature. Since its initial publication, the NKJV has become one of the best-selling and most widely read versions of the English Bible worldwide. The NIV traces its roots back to 1956 with the formation of a small committee in the United States to study the possibility of producing a new translation that utilizes the common language of the American people. However, the translation project was only officially started in 1965 after a meeting at Trinity Christian College in Illinois that involved the Christian Reformed Church, National Association of Evangelicals and several international Bible scholars. The New York Bible Society, now known as Biblica, was given the task of doing the translation. The New Testament was completed and published in 1973, while the entire Bible was published in 1978. 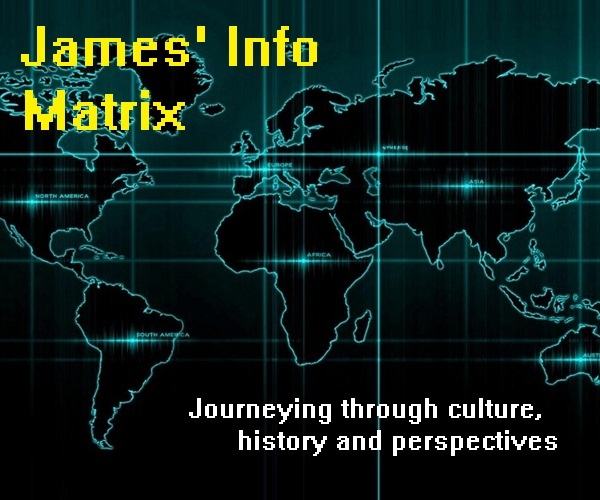 Two major updated versions were published in 1984 and 2011, which took into account archaeological and scholarly studies conducted on more recently discovered manuscripts as well. The core translation group comprised fifteen Bible scholars, and the entire translation took about ten years and a team of over 100 scholars to complete. Scholars and translators involved consisted of those from different English-speaking nations around the world and from a variety of Protestant denominations. Translators sought to take into account even the most recent archaeological and linguistic discoveries in their translations, and familiar phrases or spellings from other traditional translations were retained as much as was possible. 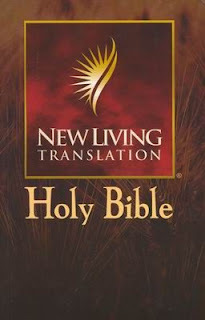 The NIV is undeniably one of the most popular and best-selling translations of the Bible in English until today. A notable point about this translation is that it involved scholars and translators from a variety of Protestant denominations hailing from different English-speaking nations around the globe, thus enabling the production of a truly international and universal English translation that is not biased towards any regional dialect or denomination. Another thing worth noting about the NIV is the fact that unlike most other English Bible versions, the translators of the NIV used a larger variety of source texts particularly for the Old Testament, making comparisons and cross-references between them throughout the translation process. One of these, the Samaritan Pentateuch, is in fact believed to be the oldest available copy of any part of the Bible (more about it has been covered in Part 1 of this article). I personally feel that this is important because it helps the translators to render a translation that is as close as possible to the original manuscripts that have been lost to posterity. Although being a dynamic equivalence Bible, the translators of the NIV have done an excellent job for the most part in accurately rendering the meanings of the original texts. 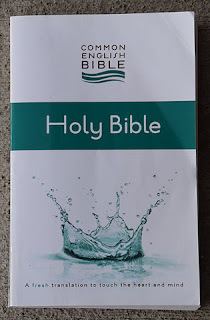 As a result, the NIV provides a highly readable text written in fairly elementary modern English without compromising on the accuracy of its translations. In his routine family devotions, prominent American Christian author Kenneth N. Taylor (1917 – 2005) often found that his children had difficulties understanding the language used in the KJV and the Revised Standard Version (RSV), and that inspired him to produce simple paraphrases of the Bible verses for each day’s devotions. His efforts led to the publication of several picture books with Bible paraphrases, such as The Bible in Pictures for Little Eyes and Stories for the Children’s Hour, which were aimed at helping children understand the Bible better. With the success of these books, Taylor embarked on a more ambitious project – to produce a Bible translation in a paraphrased and easy-to-read modern language. Using the American Standard Version (ASV) of 1901 as his primary base text along with comparisons with other Bible versions, Taylor published The Living Bible in 1971, which was well-received in many Evangelical circles especially youth-oriented groups. Despite its success particularly in youth ministries, there were criticisms from more conservative groups regarding its accuracy and fidelity to the original texts. The first major revision was undertaken from 1989 to 1996 with about 90 translators involved, after which the first edition of the NLT was published. Although intended to be nothing more than a revision of The Living Bible, the project soon evolved into a new English translation using the original Hebrew, Aramaic and Greek texts. Subsequent revisions in 2004, 2007 and 2013 further readjusted the language employed in order to conform more accurately to the meanings in the original texts. The NLT is arguably one of the most popular Bible translations particularly for youth-oriented groups and ministries due to its ease of reading and the simplicity of the language used. Although it is a dynamic equivalence Bible, it may sometimes employ paraphrases or insert additional explanatory phrases in some of its passages in order to further explain obscure words and phrases. It is because of this that some may tend to label the NLT a semi-paraphrase Bible. Nevertheless, compared to its predecessor, The Living Bible, the newer editions of the NLT conform much more closely to the original Hebrew, Aramaic and Greek texts, at the same time maintains a considerable degree of simplicity in the language it employs. Efforts to revise the Authorized Version (KJV) were begun in 1870 by about 50 scholars from various denominations in Britain, with the involvement of American scholars from several denominations via correspondence. Work in earnest began in 1872, and by 1885, both the Old and New Testaments of a new version called the Revised Version (RV) were published. An agreement was in place between the British and American teams that the American team would not publish their version of the RV for 14 years. When the agreement lapsed in 1901, the RV was published in America as the Revised Version, Standard American Edition, but was more commonly known to many as the American Standard Version (ASV). In 1959, Dewey Lockman, who co-founded the Lockman Foundation with his wife, saw the need for a Bible translation that would be readable in the English language of that time, but more importantly, would not compromise any accuracy in the translation from the original Hebrew, Aramaic and Greek texts. A new project thus began with a committee of American pastors and scholars from a variety of Protestant denominational backgrounds. The committee decided upon using the original Hebrew, Aramaic and Greek texts (as stated above) as their primary source text, at the same time incorporating new information from the Dead Sea Scrolls that were not discovered until the turn of the century. The translation project also utilized the ASV as one of its primary references, thus making it a revision of the ASV in a sense. Additionally, one of the main distinctive features about this translation project was the committee’s undivided commitment to a strictly literal translation from the original texts, so long as grammatical correctness and understandability could be maintained. 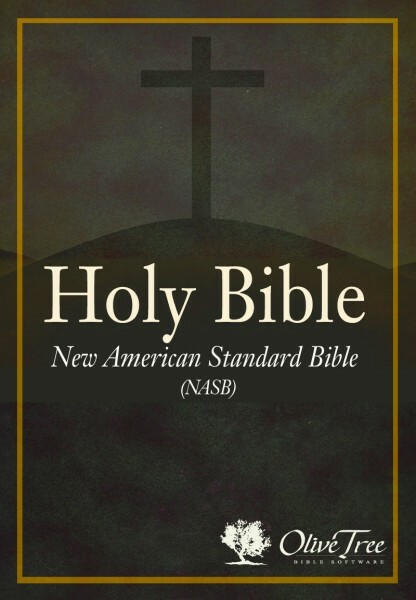 The complete NASB was thus published in 1971, with minor revisions in the following years and in 1995. One of the greatest perceived strengths of the NASB is the literalness of its translations from the Hebrew, Aramaic and Greek texts. 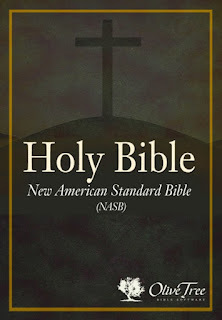 Among all modern English Bible versions, the NASB is often recognized as one of the most literal translations that maintains a high degree of fidelity to the original texts. This, of course, comes at the price of its readability and simplicity of literary style, whereby some of its verses are rendered in ways that may sound peculiar to the average reader. Nonetheless, I believe this would be one of the best versions for those who would prefer a literal translation that is as close as possible to the original texts, provided s/he also has a good command of the English language. As mentioned above in the section on the NASB (Bible No. 5), the ASV that was published in 1901 in America was the result of a major revision of the KJV by both British and American scholars. Although it was intended to be a revision of the Authorized Version (KJV), the ASV did not prove to be popular enough to displace the KJV in most Protestant Christian circles. The International Council of Religious Education, now known as the National Council of Churches in the USA, acquired the copyright to the ASV in 1928. A study of the ASV was suggested and briefly undertaken by the council from 1930 to 1932, but due to the Great Depression, it was not until 1937 that the council decided upon revising the ASV. A panel of 32 scholars was set up in America for this purpose, and although there were plans to set up a British committee as was the case for the RV and the ASV, they never took off due to World War II. The Old and New Testaments of the new version, known as the Revised Standard Version (RSV), were published by 1952, and a celebratory rally was held in Washington D.C. on St. Jerome’s Day (September 30, 1952) whereby it was released to the general public. The RSV soon became so widely accepted in Protestant circles that it became dubbed the first Bible version to have successfully posed a serious challenge to the popularity of the Authorized Version (KJV). Subsequent translations of the Apocrypha/Deuterocanonical books were done and added to later editions for the use of Catholics and Orthodox Christians. The RSV underwent another major revision several decades later under the National Council of Churches. A translation committee was formed for this purpose, comprising scholars and representatives from Protestant, Catholic and Orthodox Christian groups as well as Jewish representation responsible for the Old Testament. This revised version was meant to incorporate findings from more recent archaeological discoveries such as the Dead Sea Scrolls, and to update the language used in the RSV. 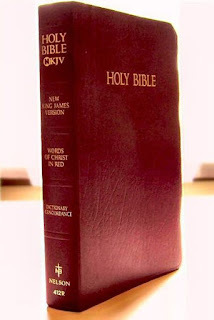 The NRSV was thus published in 1989, with three editions: a Protestant edition that includes only the Old and New Testaments of the Protestant canon; a Roman Catholic edition that includes the Catholic Deuterocanonical books (Apocrypha) as well; and The Common Bible that includes all books of the Protestant, Catholic and Orthodox canons. The NRSV is one of the few versions of the English Bible that is a product of a joint ecumenical effort (i.e. representing different denominations within Christianity), since its translation involved representatives from Protestant, Catholic and Orthodox Christian groups. Being a formal equivalence Bible, it provides a fairly accurate translation of the original Hebrew, Aramaic and Greek texts in readable modern English. While the RSV was historically criticized by fundamental and even some evangelical Christian groups for its controversial translations and perceived doctrinal tampering, the NRSV translators did a pretty good job in repairing them and updating the RSV’s archaic language. For readers who may be seeking a Bible version that is potentially unbiased towards any major Christian denomination, or who may also be looking to read the Deuterocanonical books (Apocrypha) in modern, readable English, the NRSV is perhaps the best version for that. Translation of the ESV began in the early 1990s following a perceived need by many evangelical Christians for a new and more literal translation of the Bible. Under the leadership of Dr. Lane T. Dennis, a translation committee was formed, and permission was sought from the National Council of Churches to use the 1971 version of the RSV as the primary textual basis for the ESV. Evangelical Bible scholars from around the world contributed to its translation, and a 12-member Translation Oversight Committee was responsible for the revision and final review of the work. The ESV was finally published in 2001, and has since then been widely used in countless churches and ministries worldwide. The ESV is a fairly literal translation of the Bible’s original texts, and its textual structure is largely derived from the 1971 version of the RSV, hence rendering it a somewhat updated version of the RSV. Despite being a literal translation, the language it employs is fairly contemporary and clear to any reader. Nonetheless, having been translated by a group of translators deemed socially conservative, the ESV employs a more conservative approach when it comes to certain aspects of translation such as Greek gender-specific terms. Having said these, the ESV is undoubtedly one of the most widely utilized versions of the English Bible in many international ministries until today. 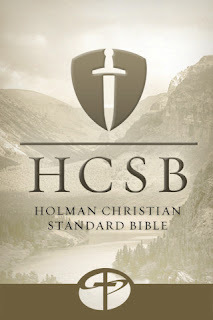 The origins of the HCSB can be traced back as early as 1984, when Arthur Farstad, who was the general editor for the NKJV, embarked on a new and independent translation project with Edwin Blum, both of whom were employed as faculty members at the Dallas Theological Seminary at that time. It was Farstad’s intention to produce a direct modern English translation of the New Testament based on the Majority Text which he had edited and published in 1982. In 1998, Broadman & Holman, the publishing arm of the Southern Baptist Convention, was seeking to purchase the copyright of several existing Bible versions in order to be used in their publications. After several unsuccessful attempts, Broadman & Holman expressed their interest in financing and acquiring the copyright to Farstad’s unfinished project. Although the company required that the New Testament translation be made from the Novum Testamentum Graece (Minority Text), Farstad insisted on using the Majority Text instead, and an agreement was reached in which a parallel translation would be made. Nevertheless, Farstad’s unexpected passing several months into the agreement meant that the editorial leadership was transferred into Blum’s hands, and plans to include a parallel translation involving the Majority Text were dropped altogether. A large team of translators and editors working with Broadman & Holman was recruited into the project, and a new translation based solely on the Novum Testamentum Graece (Minority Text) for the New Testament was produced. 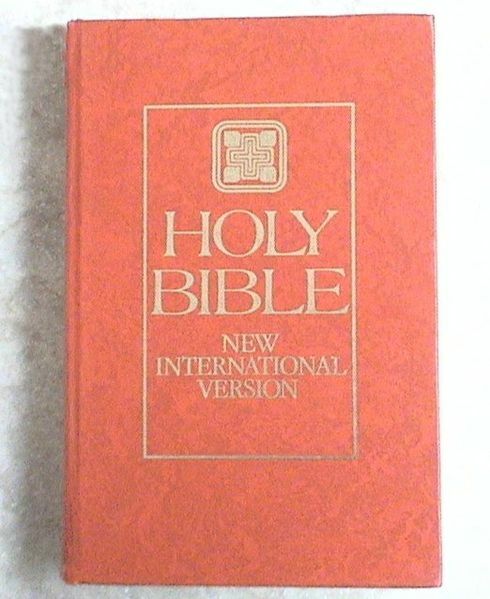 The completed translation of the New Testament was published in 1999, and the complete Bible was published in 2004. To be honest, I have not read the HCSB before, but from what I have gathered from other sources, the translators employed a balance between word-for-word (formal equivalence) and sense-for-sense (dynamic equivalence) translation in producing the HCSB. This balance is what they called “optimal equivalence,” in which they extensively scrutinized the original texts in order to determine their original meanings and intentions before rendering them into a readable text in contemporary English. 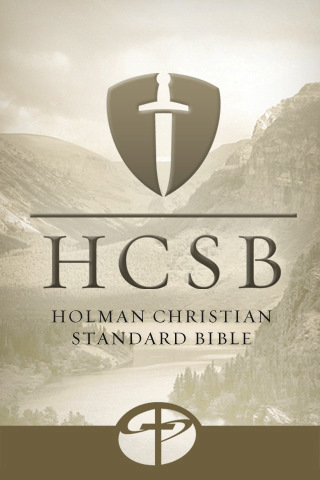 The translators involved in producing the HCSB were predominantly Baptists, and Broadman & Holman itself is the publishing arm of the Southern Baptist Convention, which makes it possible that the HCSB may have been influenced by denominational biases, although some commentaries indicate that such biases have been largely avoided. The translation of the CEB was a joint effort sponsored by several denominational publishing companies in the United States. Under an umbrella group known as the Christian Resources Development Corporation (CRDC) that was incorporated in 2009, they brought together about 120 scholars from 24 denominations to work on the translation. According to the CRDC, the main objectives of producing the CEB were to provide a new translation that would ensure smooth reading for everyone including young people and to ensure that Scripture would be translated at a level comfortable for most English readers. 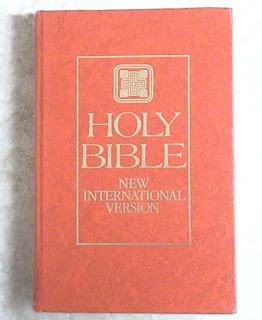 Translation begun in late 2008 and the complete Bible was published in 2011. 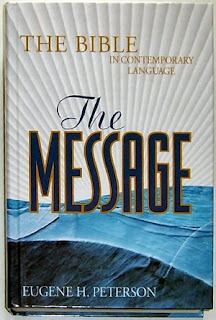 The Message: The Bible in Contemporary Language is the brainchild of Eugene H. Peterson (b. 1932), an American pastor and author. His inspiration for producing The Message came from a time when he felt that the adults in his Bible classes were not able to connect with the true message of the Bible. In his own words, Peterson’s goal was “to bring the New Testament to life for two different types of people: those who hadn’t read the Bible because it seemed too distant and irrelevant and those who had read the Bible so much that it had become ‘old hat’. Work on producing The Message began after Peterson received a letter from an editor in NavPress in 1990 requesting him to work on a new version of the Bible. The New Testament was subsequently published in 1993, portions of the Old Testament were published piecemeal over the following years, and the entire Bible was published in 2002. So once again, which version of the English Bible is the best to read and study? There is really no clear-cut answer, but the only advice I can give would be to pick one that suits your linguistic taste and would draw you closer to the Word of God in the best way possible.